Lake Maloney Golf Course, located in North Platte, is a 18 hole Semi-Private course. From the back tees, the course plays over 6660 yards with a slope of 124 . Lake Maloney was designed by Bill Burns and opened in 1990. Please call 308-532-9998 for current rates. 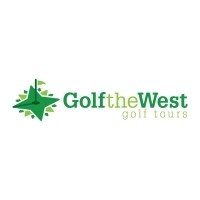 Call 308-532-9998 for rates and tee times. Contact Lake Maloney Golf Course at 308-532-9998 for more information and details on holding a golf outing at the course. Contact Lake Maloney Golf Course at 308-532-9998. Contact Lake Maloney Golf Course at 308-532-9998 for onsite or nearby dining options. This profile was last updated on 03/19/2019 and has been viewed 3,368 times.